It’s no surprise Fortnite memes are all the rage on the internet. You might have heard of a little game called Fortnite. It’s been blowing up ever since its free Battle Royale mode launched last year. And with the release of Fortnite on mobile, its popularity is only skyrocketing. Any game that can rack up many millions of players is going to have a strong presence online, and when it comes to memes, Fortnite doesn’t disappoint. The game drops 100 players onto a map and has them fight to the death as an ever-shrinking border forces them closer together. It’s like The Hunger Games, but with an added emphasis on building. As the stage dwindles and players close in, you can build walls to shield yourself from enemy attacks and erect stairs to get a better angle on the action. It’s intense, with endless opportunities for hilarious hijinx. Ever since its popularity skyrocketed, Fortnite has inspired meme upon meme, with no signs of stopping. Here are some of the best Fortnite memes we’ve seen so far. The video game streaming service Twitch.tv had its biggest viewership ever when two pop-culture streams crossed in March. That’s when the Canadian rapper Drake joined up with the streaming Fortnite wunderkind Ninja for a stream. During the stream, Drake picked up some bush camouflage and spent much of his time hiding in it. That led to a hilarious subset of Drake/Fortnite meme action. Ninja: Are you a bush Drake? 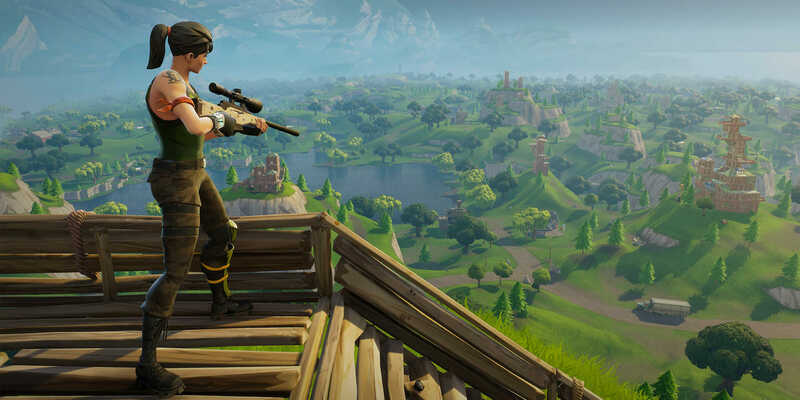 As Fortnite gained more fans, it became a popular search term on Pornhub. So long, Overwatch. Lusty fans have their eyes on the new game in town. 3) Ever lose track of time while playing? This Fortnite meme knows the feeling. You never know what’s going to happen when you play Fortnite with a team. That goes double for when it’s a random team of people you’ve never played with before. Having teammates doesn’t always lead straight to death. Hey, we can’t all be saints all the time, can we? Not everyone is as bad at Fortnite as, well, most of us. Some people eat, breathe, and live this game. If only we had that kind of time on our hands. Or you can tell yourself lies to soften the blow. When in doubt, blame the servers. You do have to choose sides. And each side is sure it’s right.